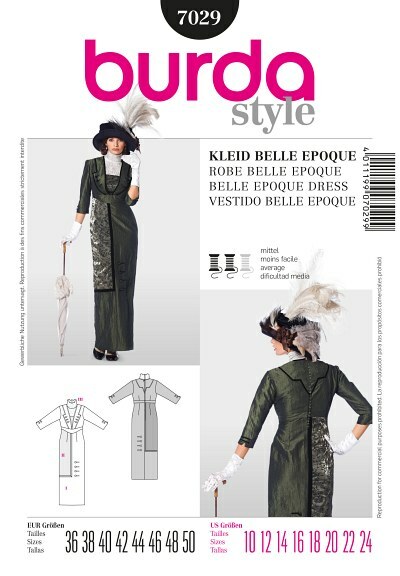 Floor-length dress in the style of the Belle Epoque, with lace gusset, standing collar and patch lapels. Different materials and accessories such as ribbons and the loop closure at the back set special accents. The zip fastener guarantees additional wearing ease. 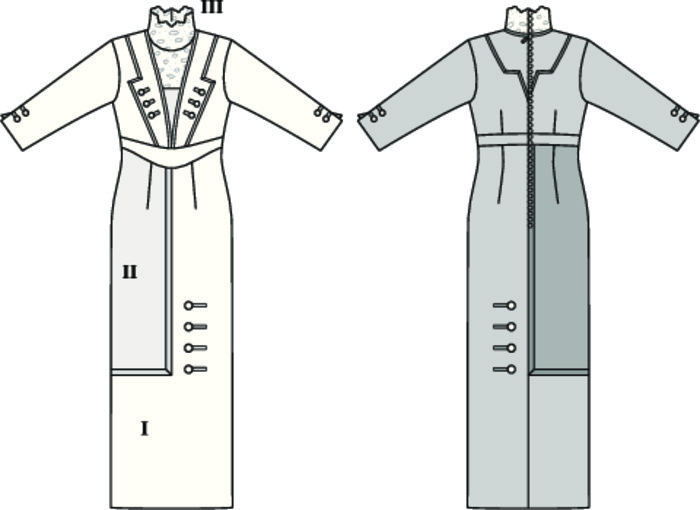 III: lace fabric with two-sided scallop edges.